Nearly ten months after unveiling it at this year's Mobile World Congress, the company behind the YotaPhone, an Android smartphone with dual displays, has finally launched the second-generation YotaPhone and it is now available in the UK for £555 (approximately US $870). The YotaPhone 2 runs Android 4.4 KitKat and sports a Snapdragon 800 processor, a 5-inch 1080p AMOLED screen on one side and a 4.7-inch e-ink touch screen on the other, 2GB of RAM, 32 GB of internal memory (but no expansion slot), 8-megapixel rear camera, 2.1MP front-facing camera, and a 2,500mAh battery with Qi wireless charging support. The e-ink display, which is based on a technology similar to the one used in e-books, consumes less power than the color touch screen, and has the ability to permanently show a piece of static content without drawing any power. In addition, the black-and-white display isn’t much of a strain on the eyes, something that is really beneficial for those prone to headaches. Connectivity options include LTE (Cat. 4, 150Mbps downlink), Wi-Fi a/b/g/n/ac, Bluetooth 4.0, NFC, A-GPS + GLONASS, and microUSB 2.0 with SlimPort. According to Yota’s CEO, the smartphone consumes far less energy compared to its market counterparts (sans the second screen) and can work for around five consecutive days in ‘read’ mode on a single charge. There's also an ‘economical’ energy mode that allows the device to work up to two days on a single charge, with most of the standard features like calling, texting, and reading emails available. 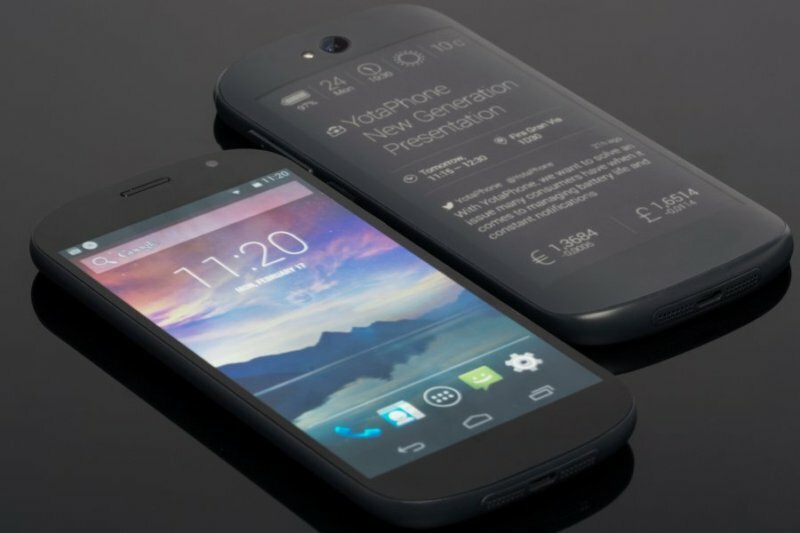 The YotaPhone 2 is set to become available in 20 European countries before the end of the year, followed by China and the rest of Asia-Pacific, Canada, and Latin America. The company hasn't yet announced plans for entering the US market.